If you are cruising the Huddersfield Narrow Canal next weekend on your Canal Boat Holiday pop along to the Marsden Jazz Festival. There will be something happening to entertain the whole family in the historic mill village of Marsden in West Yorkshire. Across the three days of the festival a number of gigs are performed in more than 20 venues around the village and at the Canal and River Trusts Standedge Tunnel Visitor Centre. The line up for the 2013 festival will include Fat Stanley, Backwater Blues, Loretta Scott and The Tame Valley Stompers. As well as ticketed performances there are a host of free music events taking place in and around the pubs, clubs and cafes in the area. 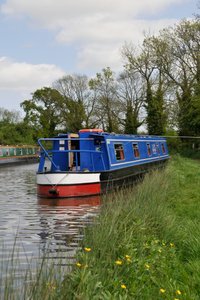 To explore the Huddersfield Narrow Canal and visit the Marsden Jazz Festival book your cnal boat holiday from our base at Anderton Marina.